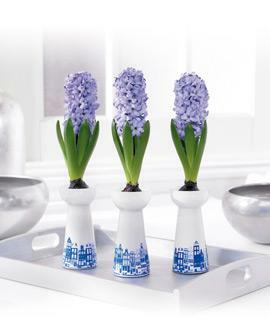 I've been tracking prices of hyacinth vases on ebay for the past few years. I hope I've covered the most common ones but there do seem to be a huge variety of variations. 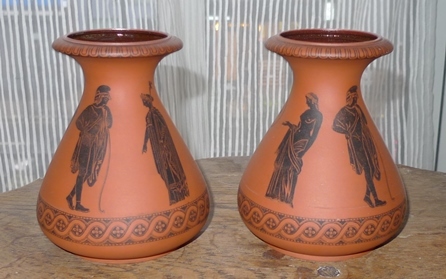 Squat bulbous vases, some people call them "Tye shape" but I think that can be confusing as "Tye" is a more specific kind of hyacinth vase. 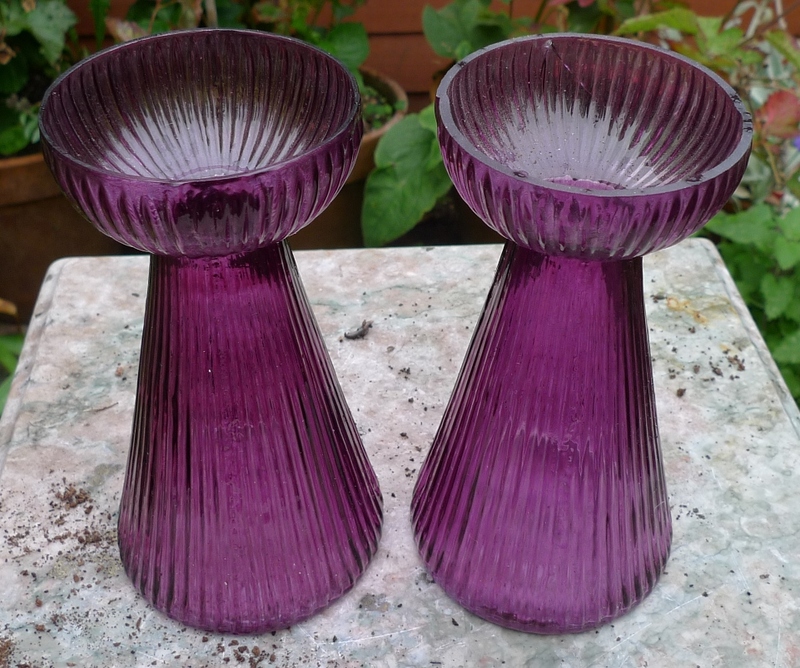 As you can see these vary enormously from the handblown example on the left to the mould-blown ones on the right. 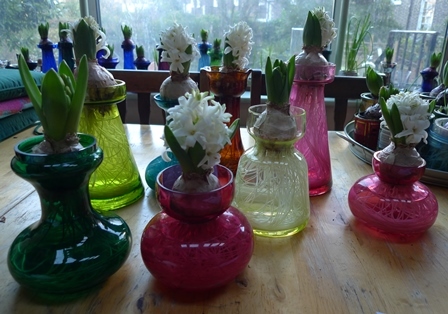 I'm grouping green and teal vases together as there are so many different shades, some quite similar. 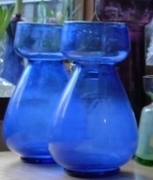 These vary enormously from hand-blown 19th century vases to modern factory-made vases. The ones pictured below are older 19th century vases which are hand-blown and uneven. 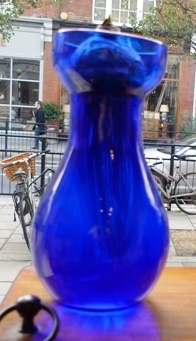 These were made by Luminarc (in recent decades) but are also sold via other companies, in both clear and other colours. I bought some that were painted the other colours but not sure if all the coloured ones are painted. 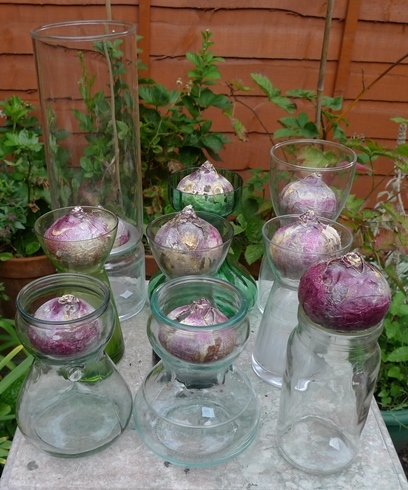 These were sold very recently by Bakker/Spalding bulb companies for £9.50 for a set of 3, although some sellers claim they are vintage; they definitely are not. The white is painted on and the houses are a sticker. Available retail at garden centres. 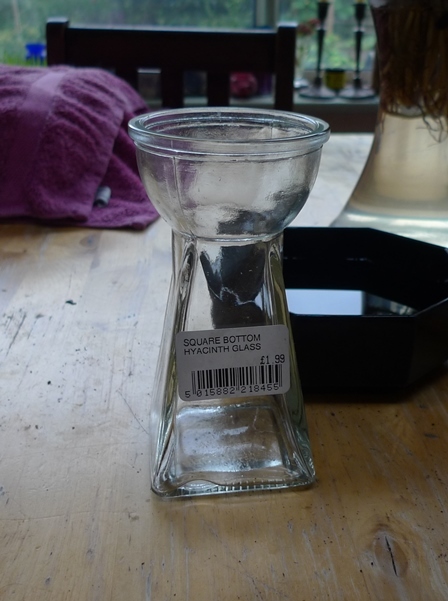 I bought this Oct 2014 for £1.99. This also came in purple. 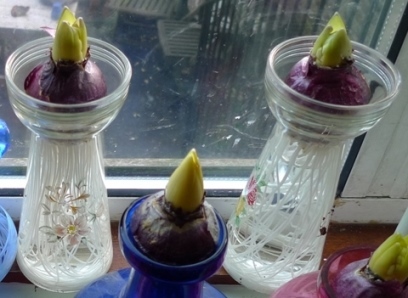 These are being sold under various brand names as hyacinth vases but I don't think the opening is large enough for hyacinth bulb roots.